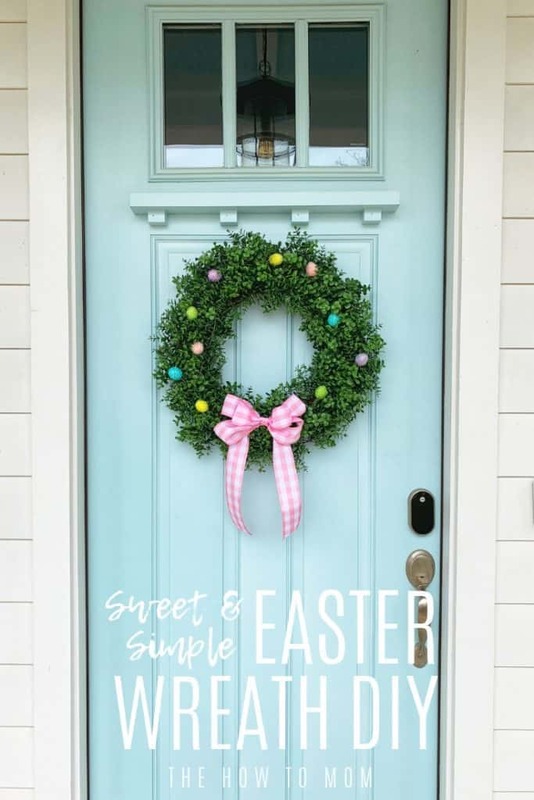 This sweet and simple Easter wreath is perfect for your front door, and comes together in just minutes with a few fun accent pieces. 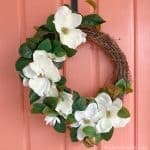 I adore spring wreaths. I love the pastel colors and the beautiful flowers we’ve all been longing for all winter. 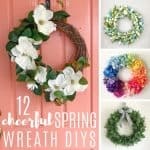 You can check out some of my favorite spring wreaths in this Roundup of Cheerful Spring Wreath Ideas. 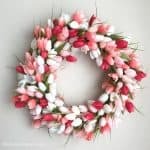 My all-time most popular spring wreath is my Easy Tulip Wreath DIY. Hundreds (Thousands?!) 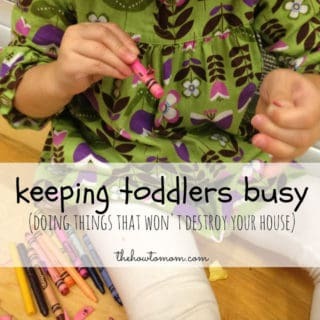 of people have made one for themselves. It warms my heart! I thought it would be fun to do an actual “Easter” themed wreath as well. 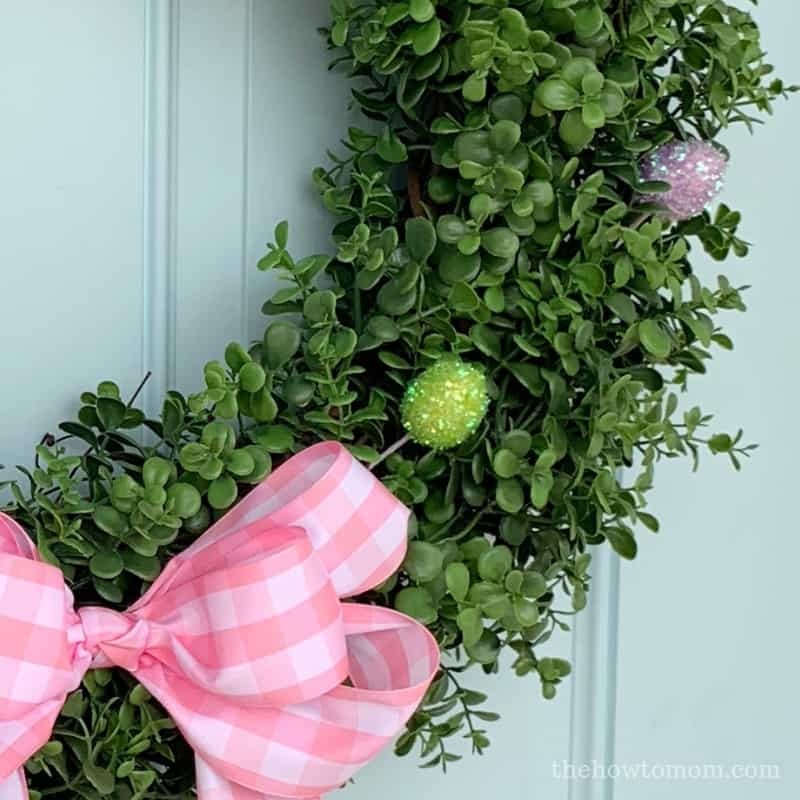 And continuing with my “one wreath for all holidays” thing, I’ve got an easy and cute Easter wreath DIY using a basic boxwood wreath, and a few inexpensive and fun accent pieces. 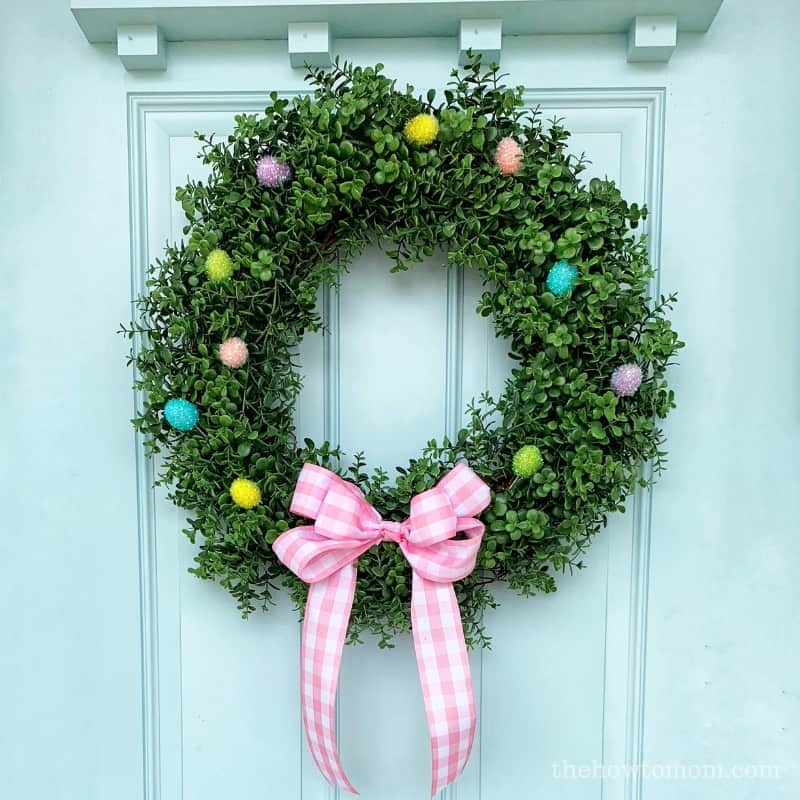 For this wreath, I used 2″ pink gingham ribbon and 10 small Easter egg picks (basically sparkly styrofoam eggs attached to a stiff wire). 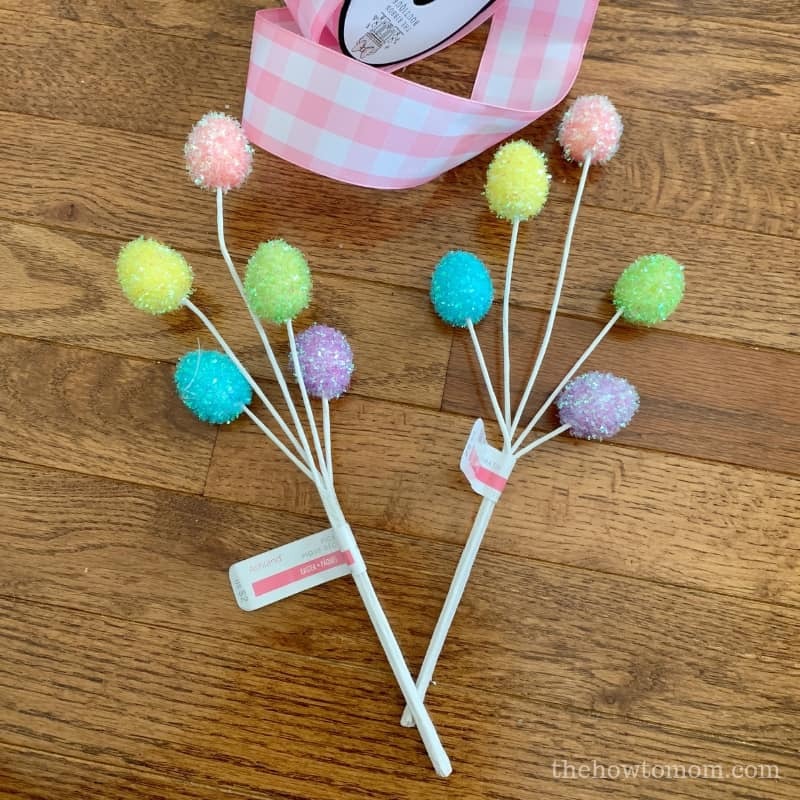 I found these egg picks at Michaels, but you can also find them at Dollar Tree or other craft stores. I wanted to keep the long stem/wires they’re on, so instead of clipping them from the bunch, I peeled them apart carefully. And then with wire cutters, I trimmed the ends so they’re even. 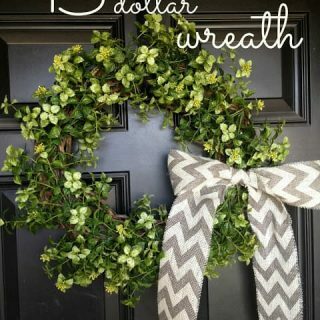 Then I just slid them into the wreath somewhat parallel, so they lay flat. I tried to vary the spacing and position for visual interest. As for the bow, I don’t have a step by step for it yet. Bows and me still learning to love each other. I want to make not-your-grandmas-bows, you know? 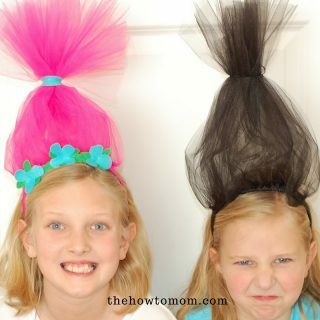 You can search for bow tutorials on Pinterest or check out my Wreath Bows Pinterest board for ideas. 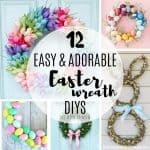 For more darling Easter Wreaths, check out my Easter Wreath DIY Ideas board on Pinterest. 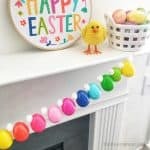 Lots of fun pastels and eggs and bunnies! 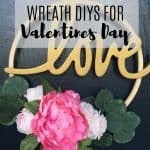 I love you see YOUR wreaths and tell you how amazingly crafty you are! 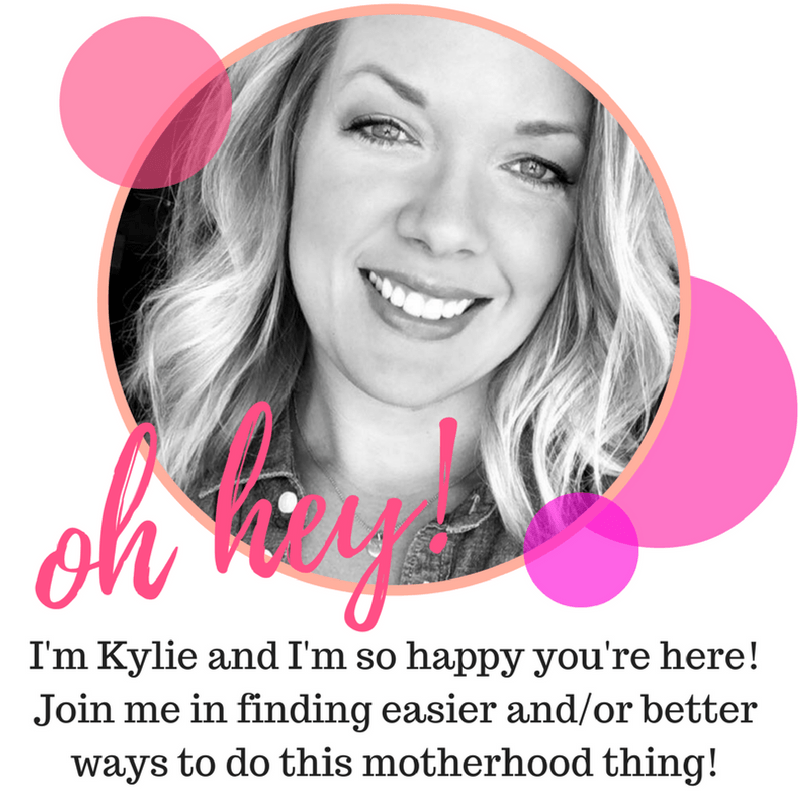 So tag me @thehowtomom or #thehowtomomwreaths so I can see!